Honor the privilege of walking beside your loving canine friend. I love to talk about puppies and dogs! 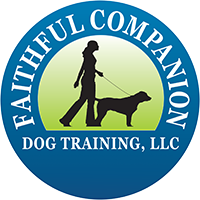 Please feel free to call me or email me with any questions pertaining to dog behavior or training. If I am not available when you call, I will return your call as soon as possible, usually within the hour and definitely within 24 hours. If I am away from home, I will leave a message to let you know when I will return. I will respond to emails at least once a day.